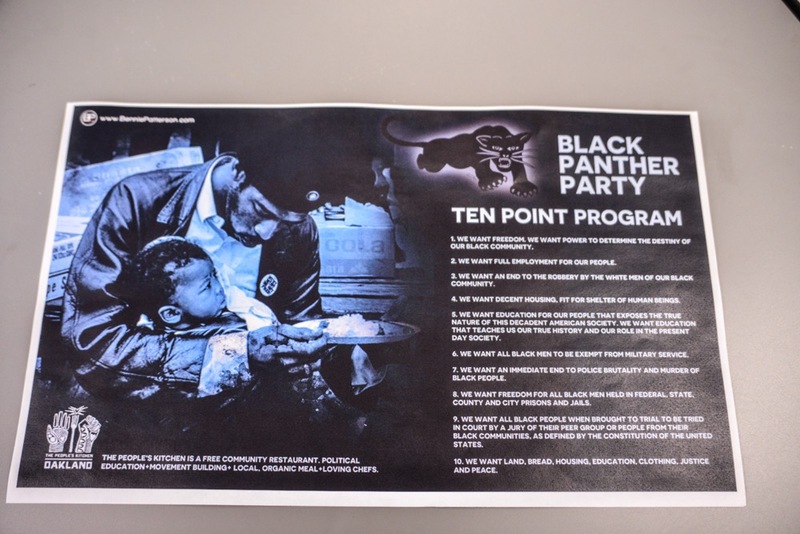 The Black Panther Party started the Free Breakfast for School Children program in 1969 at St. Augustine's Church in Oakland, CA. 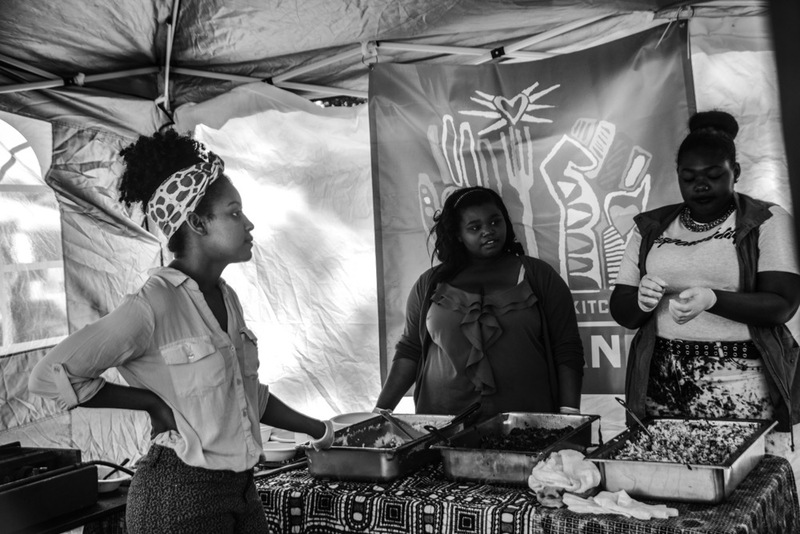 with the radical commitment to feed black and brown children on their way to school. 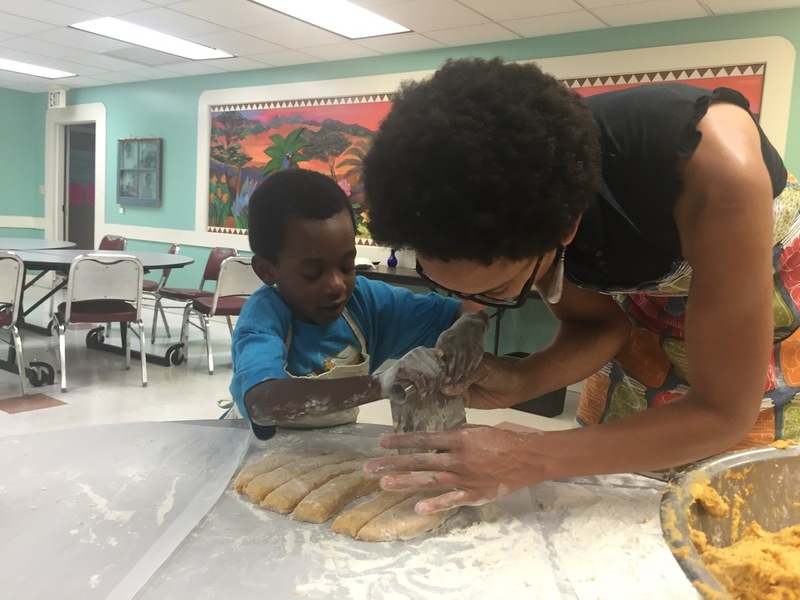 The Breakfast Program was one of the most successful survival programs launched by the BPP, growing in a few short years to feed over 100,000 school children breakfast in cities across the country every day. 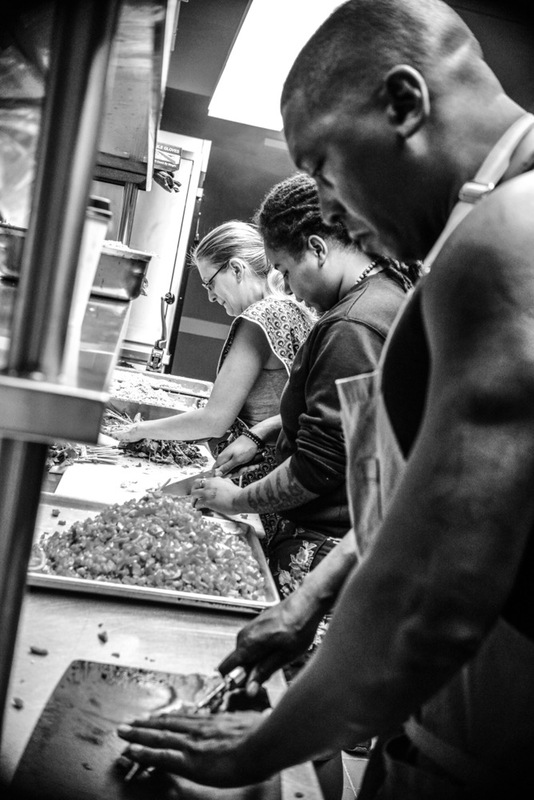 Their commitment to feeding black children healthy meals was so dangerous that the FBI named it the biggest domestic threat to national security. 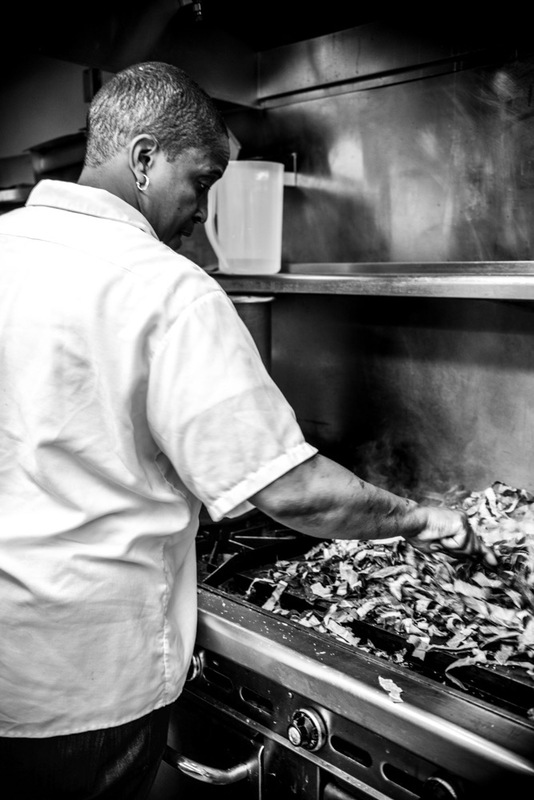 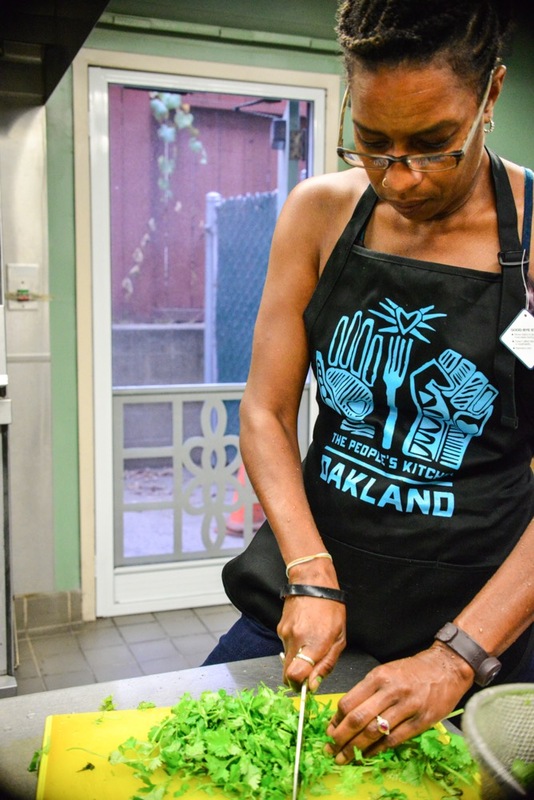 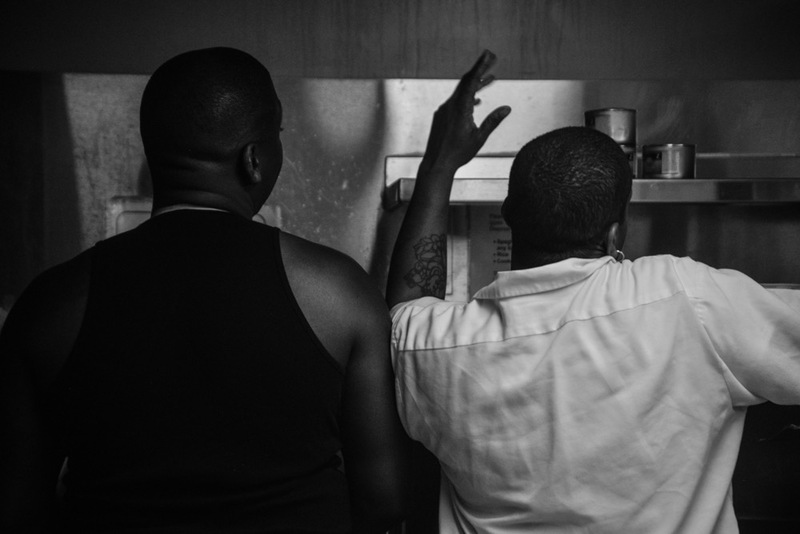 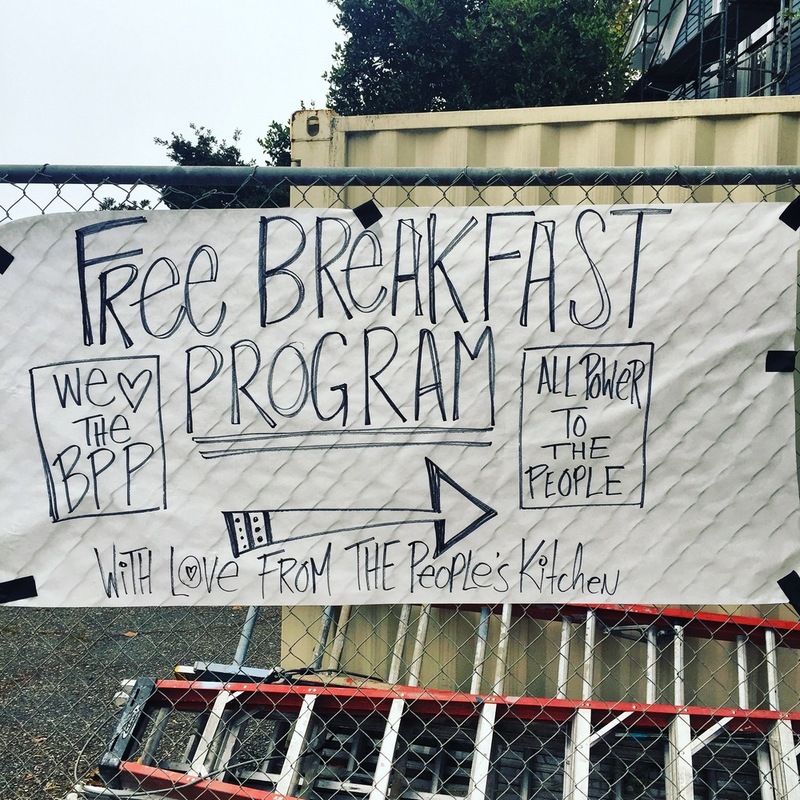 Inspired by the work of the BPP, the People's Kitchen Collective offers our Free Breakfast Program, serving hundreds of people a free, hot, nutritious, and delicious breakfast in Oakland. 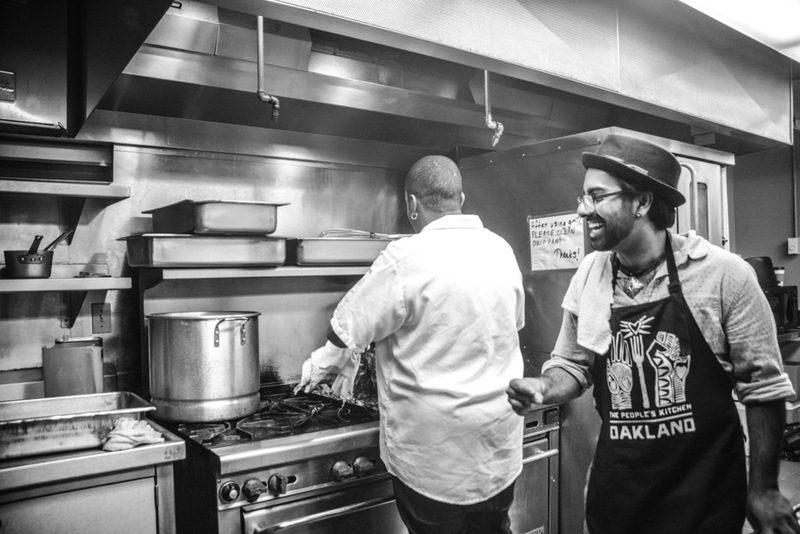 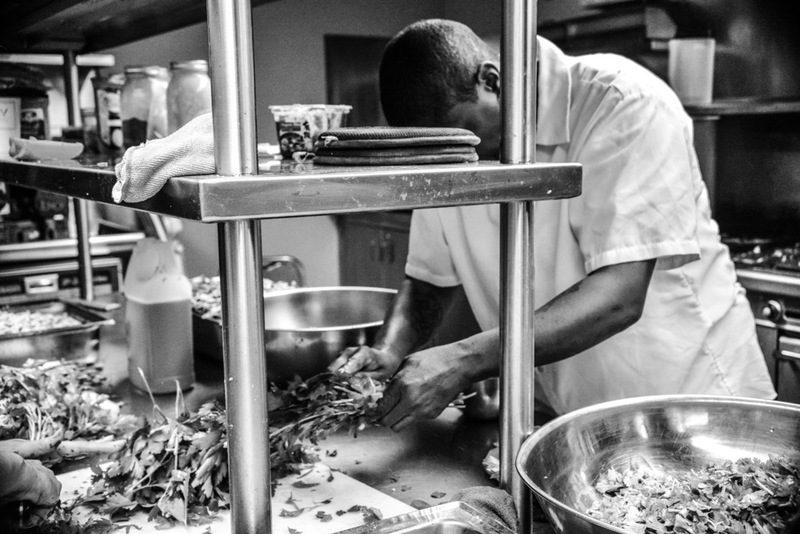 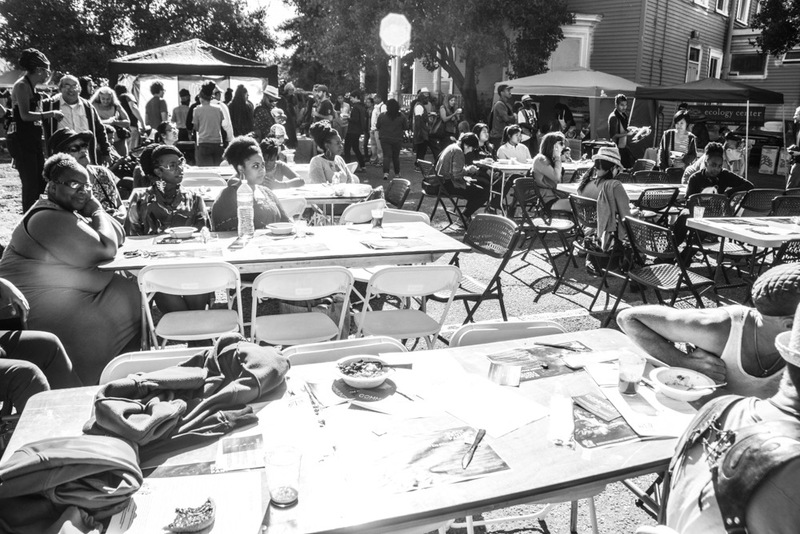 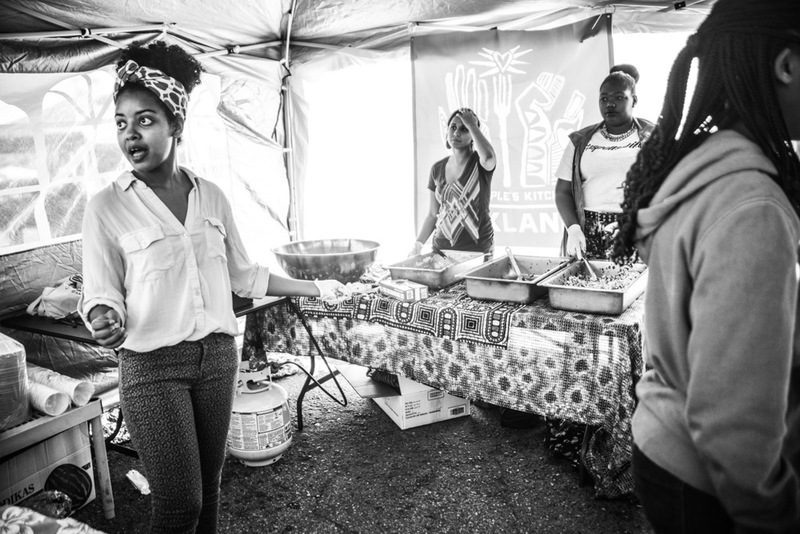 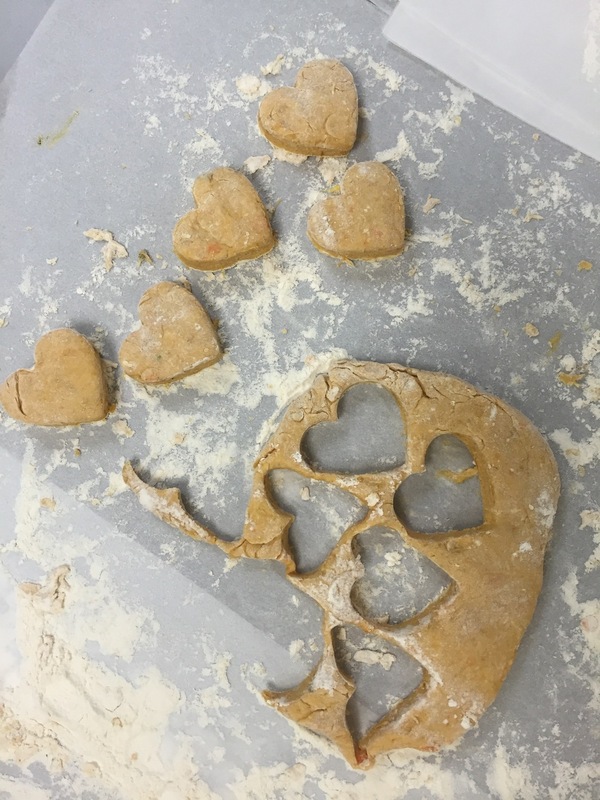 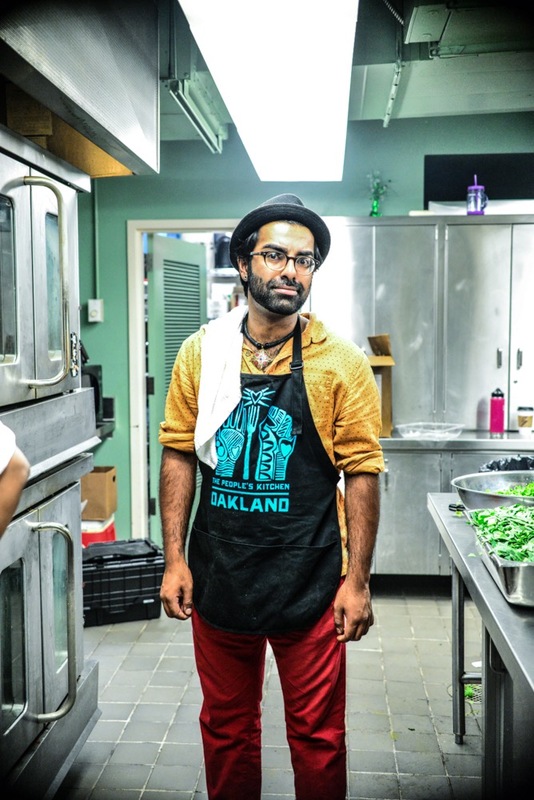 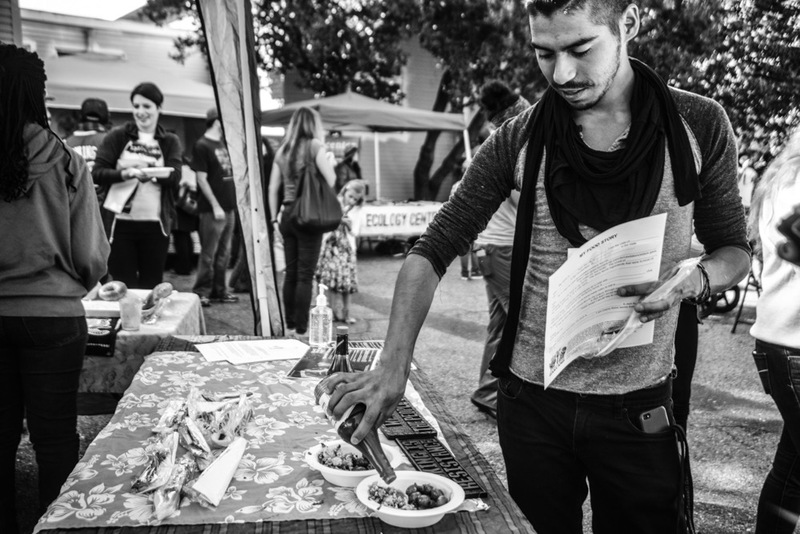 Since 2007, the People's Kitchen Collective has served thousands of free breakfasts in West Oakland in collaboration with local artists, poets, musicians, farmers and groups like Youth Speaks and Bigger Picture Project.